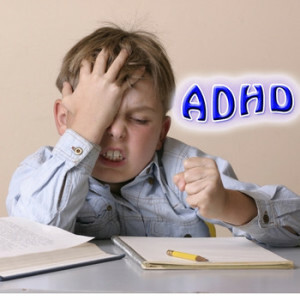 Diet and nutrition can help improve ADD, ADHD, and Spectrum disorders such as: Autism, PDD, ODD, OCD, Tourette’s, and other associated conditions. By far, the most effective treatment approach involves dietary changes. This is the foundation to your plan. I recommend testing for food intolerances/allergies and remove these reactive foods for a certain period of time (not indefinitely). I use MRT Leaps 170 Foods by Oxford Biomed. While waiting on results for this test I have my patients withdrawal food dyes/additives, artificial sweeteners, casein, gluten, and soy. These are the most common allergens and often play a significant role in a lot of the unwanted issues associated with these conditions. Another test I strongly recommend if possible (and sometimes insurance will pay for the majority of this through Genova Diagnostics EZ Pay program) is their NutraEval – which is an EXTREMELY comprehensive profile that is very helpful in outlining a targeted approach to addressing an individuals specific underlying metabolic issues. The NutraEval is quite extensive and includes an organic acids test, RBC metals and minerals, plasma amino acids, essential fatty acids profile, and many other useful markers. Neurotransmitter testing – I use Northbay Diagnostic’s Neurotransmitter Basic profile. A comprehensive stool test can be extremely helpful as well because many people on the Spectrum deal with dysbiosis (an overgrowth of “bad” bacteria and/or yeast), malabsorption, inflammation, infection (bacteria, yeast or parasite), and lower numbers of friendly bacteria. The test I run most often is the GI Effects – also by Genova Diagnostics. A good multi vitamin/mineral formula, purified fish oil, and high quality probiotics are a very important nutritional foundation for those who are dealing with these conditions. Results of a small clinical trial suggest that a chemical derived from broccoli sprouts may ease classic behavioral symptoms in those with autism spectrum disorders (ASDs). 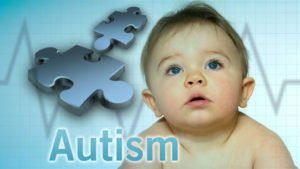 The study, a joint effort by scientists at MassGeneral Hospital for Children and the Johns Hopkins University School of Medicine, involved 40 teenage boys and young men, ages 13 to 27, with moderate to severe autism.In a report published online in the journal Proceedings of the National Academy of Sciences during the week of Oct. 13, the researchers say that many of those who received a daily dose of the chemical sulforaphane experienced substantial improvements in their social interaction and verbal communication, along with decreases in repetitive, ritualistic behaviors, compared to those who received a placebo. Here is a link if you would like to read more about this from Johns Hopkins – click here. This list is by no means all inclusive. There are many more things that can help including bio-feedback, ABA therapy, Occupational Therapy, cranial sacral therapy, chiropractic, acupuncture, art therapy, etc. I sure hope the information in this article helps individuals and parents with children who are dealing with one of these conditions. Please contact us at 913-333-8798 or drbrown@naturaespath.com for more information. ← Lower your Cholesterol and Triglycerides naturally!